Start your research from the The Library's homepage or your Program Toolkit Page. The Library's homepage gives you access to three search options for its resources, each best for specific types of research. This search includes all of the Library’s journal articles, e-books, most subscribed research databases and indexes, the vast public biomedical literature index Medline, and the overall largest number of resources. You can click an arrow at the bottom to expand a subject limiters menu, or you can add limits for full-text or peer review from the results screen. You will find many results that are not full-text, but you can still get them – see the Interlibrary Loan entry on this page for directions. Start here for most research, in any subject. This search includes three of the Library’s core clinical point of care resources. More are available on the Databases A-Z List or from the Databases Help tab, but these three can answer many clinical questions. Start here for clinical questions or research. This search includes PubMed, the premier biomedical research database in the world, with the addition of all of ATSU’s subscribed journals that are included. 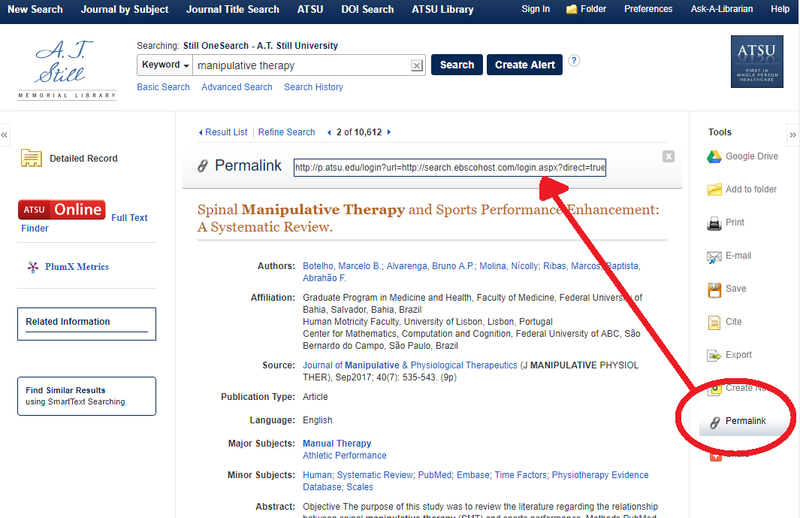 You can search PubMed freely anywhere (and will be able to do so after you graduate), but if you start here, you can include all of the full-text journals that ATSU provides. You will find many results that are not full-text, but you can still get them – see below for directions. Start here for medical research questions. This tab searches the Library Catalog. At present, it searches the entire Library Catalog, but it will soon be pre-limited to ATSU's e-books. Start here to find e-books. The Library creates Program Toolkits that pull together the most useful resources and tutorials for each program. Every student can use every resource that the Library offers, but these collections include those of special interest. Learn to use ATSU's subscribed online resources using these guides. The Library offers several major ways to find e-books and books. If you know the book’s title, try searching for it in the Library Catalog, which is linked in the top left menu of the Library homepage. To access an e-book, click on the link below the book information that says A.T. Still: Click to access. The Library has many required textbooks and recommended references as e-books. When possible, these are directly linked on each program's Program Toolkit guide, visible on the right side menu of the Library homepage. View the Newest e-Books added to the catalog by clicking here. The Library has e-books from multiple publishers and sources, which means that they do not all look the same. See the e-Book Help page for more information about using a specific e-book or publisher. Some e-books allow one person to use them at a time, some allow a few, and some allow the entire university. If too many people try to use an e-book at once, the newest person will not be able to access until one of the others finishes and closes their browser. Please close e-books as soon as you are finished to be courteous to your peers. If you cannot get into an e-book, try again in half-an-hour. If you want to know how many users a particular book allows, check its catalog record or Ask Cyberlibrarian. The majority of the print books are housed in the Missouri Library. If you are in Arizona and wish to use a print book that appears in your search results, you can get it quickly through Interlibrary Loan. What if we do not have it? The Library has thousands of full-text journals that will give you immediate access to articles. There are many ways to find them, but some are better for specific purposes. IMPORTANT : We have many journals from multiple sources, which may offer different years of coverage. Sometimes, we have access to a journal but NOT on its current publisher's page. In these cases, you will find them by a) searching within a database or b) consulting the Browse e-Journals link described below. Click on the Browse eJournals link, which you can find linked below the Search button on the Library's Still OneSearch box or in the Discovery Tools box on the Homepage. If The Library does not have the journal article you need in full-text, you can ask us to order it for free through Interlibrary Loan. This typically takes 1-3 business days. The Library provides access to BrowZine, which is a mobile app/web resource that will let you create a personal ID to save journal titles of interest and monitor them for new articles. It will show a count of all new available issues and articles, as well as let you download articles, e-mail them, send them to other app programs or citation managers, etc. See the BrowZine guide for more information about how to use it. Visit the Journal List provided by BrowZine to browse lists of full-text journals by subject. Note : Some available journals are not included in the subject browse lists. You can still find these journals by searching for them within BrowZine, as described above. If you want to find journal articles from many journals All of the above methods work best if you already know there is a specific single journal that you are interested in finding. 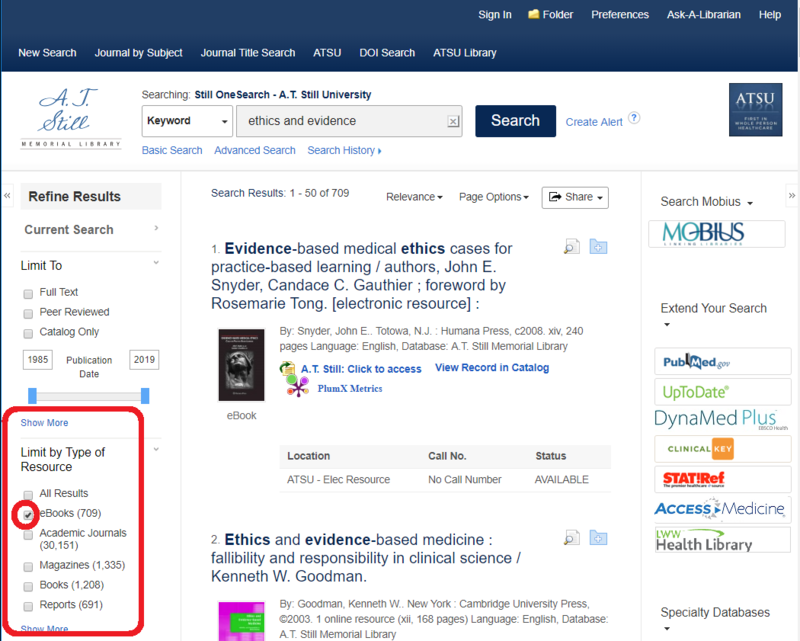 To find a variety of articles rather than only articles from one journal, use Still OneSearch or PubMed. The Library provides access to dozens of databases and resources for a variety of purposes - learning and education, research, clinical practice, exam preparation, data management, etc. These databases include full-text and abstracted journal articles, e-books, government reports, clinical guidelines, datasets, images, videos, and more. The Library's discovery tool Still OneSearch will search most of the article/e-book databases and the Library Catalog together at once, but cannot include most other types of content databases. Searching any one resource individually can also allow you to make a much more specifically targeted search using special features of that resource that cannot be incorporated into Still OneSearch, or allow you to easily narrow your search to within one subject area. If you need help using a database, contact Susan E. Swogger. If you need to report an access problem with a database, contact Hal Bright. It is very common to find an interesting abstract or citation for a journal article from a source that does not offer freely available full-text. You might find one in a reference section from a book or article, in a database that you search, using Google, while visiting a journal's publisher site, or in many other locations. The Library provides two easy, free methods that you can use to get fast access to the full-text for this article. Request an Interlibrary Loan If The Library does not have the journal article you need in full-text, you can ask us to order it for free through Interlibrary Loan. This typically takes 1-3 business days but may take up to 10. Dissertations are great sources of information about both research and about useful sources that other researchers have found. Typically, they will include a literature review that can act as an excellent pointer towards other research studies and articles that may prove useful. Collection of dissertation and thesis abstracts from the US and other countries ranging from 1743 to the present day. Includes nearly all US produced dissertations since 1997 in downloadable full-text. It is less likely to be possible to get a dissertation through Interlibrary Loan than any other type of resource, but it is worth trying if you want one that is not available full-text. What if you still can't get it? If the dissertation is not available online or through Interlibrary Loan, we suggest that you seek out the author and ask for a copy of it or its literature review or bibliography. Try seeking the author using LinkdIn, ResearchGate, or Google. The Library may not do this for you, but you may have good look asking yourself. The Library offers a number of different resources to finding different types of drug and pharmaceutical information. Library Pharmacology Guide See for more detailed information about drug databases, e-books, journals, etc. Drug prices are highly variable; try using these resources to find them. ​Find in the Other Tools drop-down menu. Academic use only. The Library offers a number of resources for board examination, shelf examination, and other review. It is not uncommon to require a survey or other type of assessment for use in any sort of setting, whether clinic or classroom or corporation. The library provides many resources for finding information about already established assessment instruments or for assisting with adapting or developing an original one. Look for articles researching your topic using your preferred type of measure - what did other people do to study this question? assessment, instrument, survey, measure, measurement, inventory, test, questionnaire, validity, reliability, psychological tests, health assessment, [specific instrument name], etc. The Library provides access to many evidence-based Point of Care (POC) resources and references meant for use in clinical situations. Your clinical rotation site probably provides more, or a different means of accessing the same resources. Use these to look up clinical information or guidelines when you need it. Click on the Databases link on the Library's Homepage. Limit the Databases A-Z index by Purpose to Clinical-Point-of-Care. 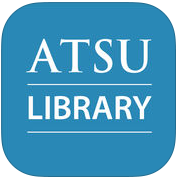 ATSU provides a Library App that will act as fast single-login access to our major subscription POC resources and several key reference texts for many clinical areas. It includes interfaces for Medicine, Dentistry, Rehabilitation Therapies and Audiology. The Library also provides access to individual apps for a number of key mobile resources, including UpToDate, ClinicalKey, Dynamed Plus and more. See here for a full list. Most Electronic Health Record (EHR) systems include integrated access to one or more clinical resources for use during patient interactions. The full extent of information will be available, but access and searching may function differently than independent access to the resource. Consult your placement site to learn how to use its provided resources effectively. The Library's collections include many streaming videos, audio recordings and images, some of which are included in the catalog and some of which are not. Still OneSearch Many streaming resources are included in the Library catalog and Still OneSearch. Find them by first searching for a topic in Still OneSearch. Then, select Video in the Limit by Type of Resource box to the left of the results list screen to find videos. Library Streaming Media Guide Some streaming media files are not included individually in Still OneSearch. Find them all and instructions for using them by visiting the Library Streaming Media Guide. 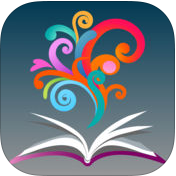 The Library provides access to mobile apps for a number of subscription or selected resources. Most also require you to re-authenticate your app periodically by using it within the campus IP range, or by responding to an email. Single access point app that delivers thousands of full-text academic journals to your tablet, phone, or the web with one login. Create a personal bookshelf of journals to keep up with the newest articles and research from your selection. Single access point app to ATSU’s clinical databases, key reference e-books, etc, for use in the clinic at the point of care via your smartphone or tablet. See here for the full list of mobile apps available through the Library. The Library offers several subscription resources that can provide free CME/CE/MOC credit to ATSU faculty and students. Some of these resources offer short instructional readings or courses that anyone may benefit from, and some offer credit for research performed using them while logged in with a personal ID. Consult the relevant professional standards if you wish to claim credit - most professions only permit a percentage of required credit to come from such activities, and have specific reporting requirements. Are you interested in self-learning about how to use online resources, PubMed, health statistics, etc? The Library has curated lists of useful online tutorials. Educational Technology Development Center Information and tutorials about a wide assortment of educational technology, including BlackBoard, data management, social media, collaboration, media editing, etc. The Library does not employ any lawyers and cannot offer legal advice on copyright. However, it does offer guidance on finding information on copyright and fair use, and how to find information about copyright terms for specific texts and images. DOIs (Digital Object Identifiers) are permanent, unique registered identifiers that are required for APA citation of digital articles, reports, conference proceedings, etc. They will allow you to access the document's permanent home on the internet, though that home may require you to have a subscription to view the full-text. Tip : Remember, search for as few words as possible - the more you put in, the less you get out. If you don't find your article, try searching for only part of the article title. Leave off subtitles. Many databases or journals will display the DOI in the article abstract, if it is available. 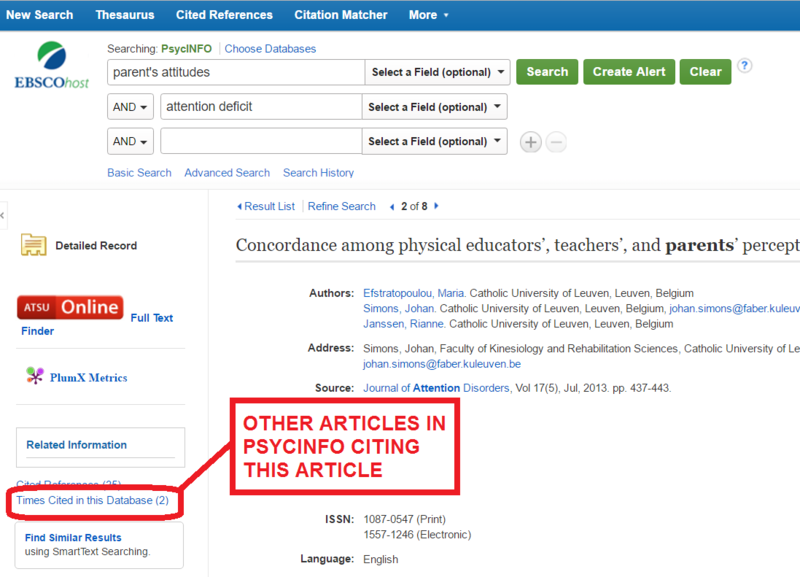 View APA Citations of Articles You may find a DOI by looking at an existing APA citation of a digital article. There are three currently acceptable forms of DOI according to APA - the older formats and the most recently adopted one. Any can be used correctly but APA recommends that you use only one in the same reference list. Consult your professors for their preference as to form, should they have one. The DOI System This is the issuing organization that creates DOIs. Visit it for more information, or search its database for a known DOI in order to find its associated article. What if it doesn't have a DOI? Some few publishers still do not generate DOIs for their published works, even current ones, and some older works do not have them. Print-only published articles do not have them at all. If there is no DOI available, or you consulted the print version, it is correct not to include them. What if it takes you to an article that won't give you the full-text? 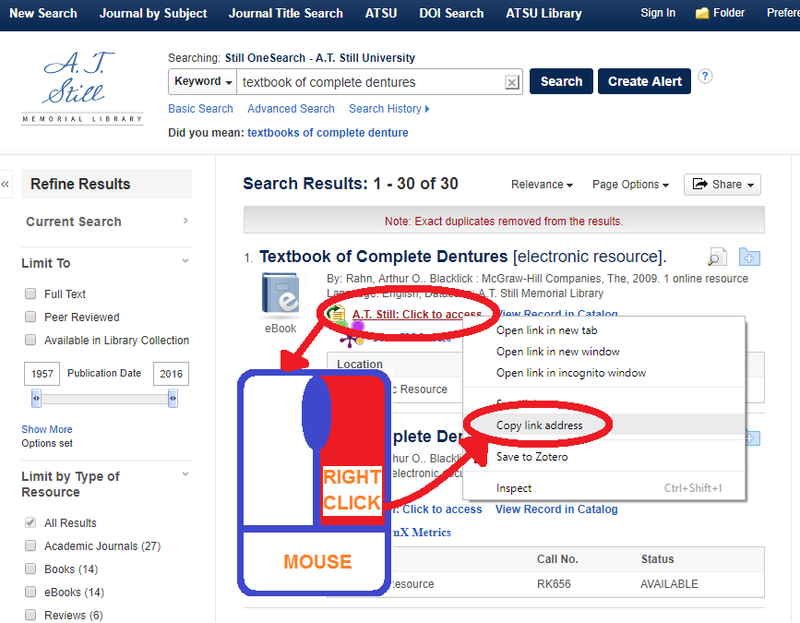 If that fails, look up the journal title using the Library's Browse e-Journals link. There are thousands of interesting and relevant new articles published weekly about research and advances. It is very difficult for one person to keep up with all of the advances in their field, but there are increasing numbers of tools and methods to try to narrow down this massive overflow of information into a much more usable trickle. BrowZine is an app that pulls ATSU's subscription and some open access journals into one platform to display tables of contents for new journal issues, with links to the full-text. You can get it as an app for your iOS or Android phone/tablet, or access it via any browser on your computer. You can create a personal ID to use it to track new issues and articles for journals of interest to you. This differs from other sorts of Alert features because you must visit BrowZine's interface or app to find the notifications of new content - it does not swamp your email. Scimago is a curated index of the top journals in a very wide assortment of academic research fields. Use it to identify influential non-predatory journals to track in your area of interest, via BrowZine, email, etc. You can set up a Database or Journal Alert for many different interfaces, journals or databases, which will automatically send you an email or even a text message when new articles or content are added to either a specific journal, search result set, or subject that you want to track. You must create an individual ID in order to do that in most cases. Some examples include the EBSCO databases, PubMed, and the Chronicle of Higher Education. RSS Feeds are lists of automatically updating new articles gathered by a string of code that can be copied from a resource and pasted into an RSS Feed reader, which can collect many such feeds. They can also be copied into webpages, where they will display an automatically updating list of new articles from a source. This differs from Alerts as RSS Feeds do not appear in your email and may also display automatically in a list on a webpage. Many resources that provide single article Alerts as described above can also offer or generate RSS feeds, including PubMed, many EBSCO databases, and many government agencies such as the CDC. Some examples of common free RSS Feed Readers are Feedly, the Old Reader, and RSSOwl. If you have a Feed Reader, you can either paste the RSS feed code string into it, or search from within it for a feed from your desired source. PubMed NCBI PubMed's NCBI will allow you to create a personal ID that will allow you to create automatic updates and alerts for new results to saved searches or for new articles on PubMed. This video shows how to create an alert and use NCBI to manage it. Many researchers use Twitter to announce new ideas or studies, or to follow those of others. Follow individual researchers or important associations for very current news. Many more researchers and students use these to discuss and share research of interest. They commonly provide an open platform that can promote collaboration on projects, may provide a place to post green Open Access articles, and always aim to connect researchers with common interests. They allow you to create an online bibliography of interesting articles and share it with others, as described in this article from Nature. Some also provide assistance with formatting, but their key goal is to assist with organizing and sharing information. There are numerous medical news aggregators of sometimes varying quality which offer brief blurbs about notable research. Use them to find out about interesting studies, but then read the actual study before evaluating it. These are not primary sources, but they can help you find out about research with buzz that you might want to explore. Many associations for special areas of practice also track ongoing research activities of interest to their topic or their members and may share these on their website - this can be especially helpful for specific disorders or less common areas of specialty. This information can range from an RSS feed to an open blog to an actual trade publication offering regular updates. Database searching is different than internet searching because databases have a much more limited, specific structure. Searchers must use a specific type of code and structure to be able to tell the database what sorts of information and articles that they want. Fortunately, most of them have a similar structure with only superficial differences. The following will help make most searches better. Look for the Help, or User Guide, or About, or Support, or similarly named links for information about searching in a specific database. Many of them offer special features to help narrow your search. Keep your search string, or search terms, short at first and then narrow it down with later searches after you see what you get. EVERY letter you include reduces the number of results you find - the more you put in, the less you get out. If one of your search terms implies another search term, leave out the second term. For example, if you want to search for "legislation", do not search for "government legislation". "Government" is implied by "legislation". Search for all different ways to state the same concept. Use a thesaurus, field specific glossary or controlled vocabulary set. Find keywords from article abstracts. Other researchers may use different terms for the same thing you are interested in, especially in different fields. Terminology also changes over time. Search for every variation you can think of. Use Boolean OR and parentheses to build this into a single search. If your search includes a two or three word term, use quotation marks to enclose it and tell the database that those words must be found together. For example, searching for "environmental health" will find all articles that include that phrase with those two words next to each other in that specific order, and will ignore any that happen to include both but not together. This helps ensure that your search is actually finding relevant results. Consult and use MeSH or other controlled vocabularies for databases that have them. Many databases, including PubMed, have special vocabularies that they use to describe included books and articles in order to ensure that similar articles are described in similar ways. This is very important because there are so many different ways of describing the same concepts in English. 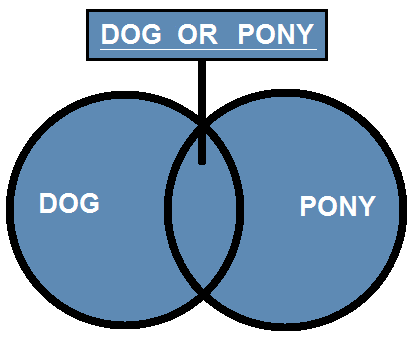 Boolean is a form of simple coding that nearly all databases will accept - see the entry on Boolean searching for more information. Record your search terms and search locations. This will allow you to run consistent searches in different sources, and will allow others to repeat your research. This is required for many types of formal research studies. Many databases will allow you to create a personal ID and save your searches or found articles within the database. It is also a common practice to save search information and results in a citation manager such as Zotero or Mendeley, or to record it using cloud based utilities like Google Docs. You can find more information about how to select and use a Citation Manager on the ATSU Citation Management Guide. Do not limit your search to full-text articles or databases for anything more than superficial searching - this will artificially eliminate useful articles or sources. If you want an article that we do not have, use Interlibrary Loan to acquire it for free, typically within 2-3 business days. If you find nothing, or less than you expected to find, check your spelling. If your spelling is correct, you are probably using different words than researchers and authors writing about your topic used. Try searching for a broader version of your search, or looking for other words. Boolean is a type of very simple programming language that will let you tell databases what you are searching for much more exactly and greatly improve your chances of search success. Use AND in between search terms to tell the database that your results must include both terms. Use OR in between search terms to tell the database that your results can include either or both of the search terms. Use NOT to tell the database that you do not want articles including a search term within your results. Use this as the last part of a search string for best effectiveness. You can build complex Boolean statements and search strings by adding punctuation, in similar form to alegbraic expressions. Use parentheses to group search terms and tell the database which combinations you want searched and in what order. 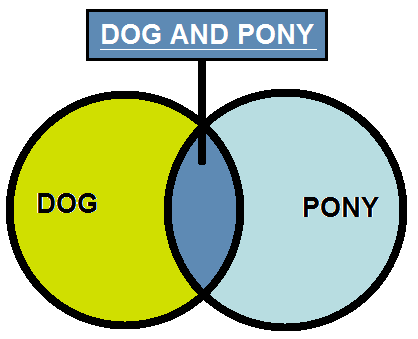 This string will find every article that includes the terms dog, pony, cat, and either donkey or burro. It will exclude any article that does not include all three of the first terms and either or both of the second terms. Use quotation marks around any phrase to tell the database that you want it to be searched for in exactly the entered spelling and order. This string will find every article that includes the phrase spotted dog, but will ignore any article that does not, even if it includes dog and spotted, but they are not next to each other. Some databases do not allow all of these, and some use different symbols or permit more. See the Help or More Info section in any database for more specific information. healthcare AND ethics This will find articles including healthcare and the word ethics. (healthcare OR "health care") AND ethics This will find articles including either healthcare or the phrase health care, and the word ethics. ((healthcare OR "health care") AND ethics) NOT nurses This will find articles including either healthcare or the phrase health care and the word ethics, and exclude every article mentioning nurses. Peer-reviewed Journals are considered the best available sources of research and scholarship in most cases. Peer review means that the journal editor sends submitted articles without revealing the author's name to established scholars in the relevant field for review and feedback before deciding to publish them. Many journals are peer reviewed for research articles but include some articles that are not peer reviewed - typically, editorials, other opinion pieces, or brief news stories. Be aware of this when selecting articles. Most databases of articles offer an option to limit your search to peer-reviewed or scholarly journals, sometimes on the search screen before you search and sometimes after in the results screen. Look around to find it and check the option before you search to use this feature. 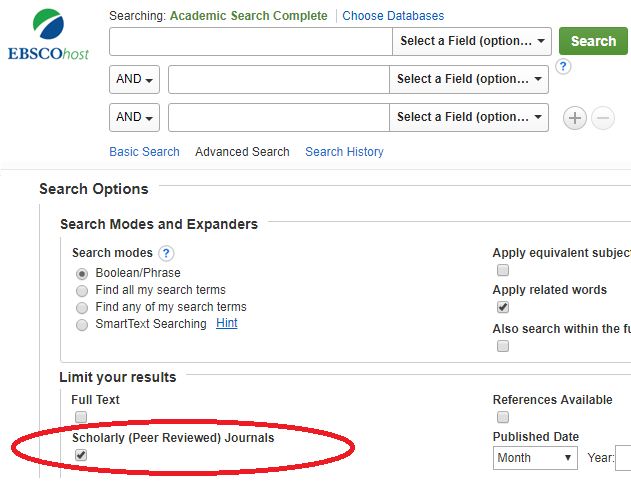 Still OneSearch limits peer review in the Results screen. Run your search, then look to the left for the Refine Results menu. Select Peer Reviewed to eliminate other types of results. Individual EBSCO databases or StillOne Advanced Search allow limits before the search. Look for the option and check it, then run your search. PubMed is a major important exception - while most journals indexed in PubMed are peer-reviewed, it does not mark them as such. To find out, you must follow the instructions below. Look the journal up on its publisher's website using Google. It will either say directly that it is peer-reviewed or discuss the review process. If it does not state this, it is probably not peer-reviewed. If you are still unsure, you can contact the publisher and ask, or ask the Library for assistance. Note: - even in peer-reviewed journals, some types of articles are typically not peer-reviewed. This includes editorials, commentary, opinions, etc. Some resources make it simpler to find more articles citing a chosen article held within the same database. This can be very helpful both in finding new research and in finding other related studies. If your article of interest has been cited by other researchers, you can know that others found it valuable. Those other citing articles may also address your topic of interest. Systematic Reviews are a specific type of review article that "summarises the results of available carefully designed healthcare studies (controlled trials) and provides a high level of evidence on the effectiveness of healthcare interventions" in order to offer judgment about the evidence and make recommendations for healthcare (Cochrane Consumer Network). They are highly valued as clinical evidence. Nearly all article databases or individual journals will include some review articles if you browse their content, but some sources and strategies make it easier and faster to find them via direct search. Reading review articles is a useful way to begin your research on a topic, or to keep up with a subject you follow. WARNING: Still OneSearch (the main search option on the Library's homepage) and some Ebsco databases offer you the option to Limit by Type of Resource to "reviews" from the left menu. This DOES NOT just mean review articles - it includes book reviews. PubMed is the best source to find review articles for biomedical, medical, and public health topics. Cochrane Library is largely made up of systematic reviews and is considered the gold standard source for systematic review articles; if your topic is clinical, you should include it in your search. CINAHL is the largest Nursing and Allied Health database. PedRO is an Open Access source of evidence and literature for Physical Therapy and related fields. ProQuest Psychology Database offers mostly full-text psychology and social science literature. PsycINFO is the largest bibliographic database of psychological and social science literature; it also includes a very large proportion of medical and education literature. Dissertations and theses are not review articles, but they include literature reviews. If you are seeking a review article in order to get a useful list of citations and a general summary of the state of existing research, try looking for a dissertation. Pay careful attention to its date : dissertation literature reviews are commonly written two years or more before their completion, and you may need to seek the most recent year of research. Most databases of articles and many individual journals include review articles. Some of them will offer special limiters like those described above to find them, but most will not. It requires careful browsing of abstracts to be sure, but the following keywords can make it easier to find the review articles in each database or journal. PICO is the framework most commonly used in Evidence-Based Practice to structure clinical questions, adjusted to fit the specific type of question. Note: This type of strategy works for larger databases such as PubMed, Cochrane Library, etc. Smaller useful banks of evidence such as the ADA Evidence Database or the UK National Institute for Health & Care Excellence (NICE) may be more suitable for category browsing. Leave out adjectives, connecting words, punctuation, etc. Consult the ADA Clinical Practice Guidelines Handbook, 2013 Update for more detail and useful search aids for dentistry. PICO Question : For patients with halitosis [Patient Problem], are probiotics [Intervention] as effective as chlorhexidine mouthwash [Comparison] in reducing measurable Volatile Sulfer Compound levels [Outcome]? The Boolean connector AND tells the database that all articles you find must include each of those words. Sulfur is unique enough that it is useful to try searching without the rest of the phrase first. If you find too many irrelevant articles, then add the entire phrase. This search finds less than 20 articles, many of which appear relevant. This may be a good point to browse abstracts to find the best articles, or to find further useful specific terms to further narrow your question or search. In this case, you can better organize and consider your search results by running a new but related searches. Run a new search to find the same sort of articles focused on chlorhexidine mouthwash. Ideally, you will be able to find the data necessary to perform a thorough analysis in the two sets of results. PICO Question : In adolescent athletes [Patient Population], does the use of facial protection [Intervention] reduce the risk of maxillofacial injury [Outcome]? Note: Prevention or prognosis questions sometimes do not include a specific Comparison or Control aspect. Simple PubMed Search : athletes AND "maxillofacial injuries" AND "facial protection"
For this search, you want to make sure that it looks for the phrases maxillofacial injuries and facial protection, and not just those several words in any position in the article, so you must enclose them in quotation marks. This will always tell a database that you want to find exactly the enclosed phrase. Facial protection is a broad category term that isn't very commonly used, so it is a good choice to consider for adding synonyms to your search. You can find useful synonyms or names of specific types of facial protection by browsing articles that match your search, consulting a thesaurus, or by searching a medical thesaurus such as PubMed's MeSH database. Adding the Boolean code word OR in between terms means that you will find all articles that contain either or both terms; the parentheses ensure that the AND part of the search is unaffected. Changing your search this way quadruples your useful search results. Maxillofacial injuries is also a good term to expand upon - while it is more standard than facial protection, it has many subcategories or variants. This nearly doubles your search results. Use one of the filters on the left side of the screen to limit your results to your desired population age, or alternatively, manually add it as an AND term. This will reduce your results to only those directly applicable to your query. There are three steps to getting the fastest, simplest access to full-text articles possible with ATSU's resources. Note: Limiting your search to only full-text will reduce your relevant search results, and you may miss out on the best resource for your topic. 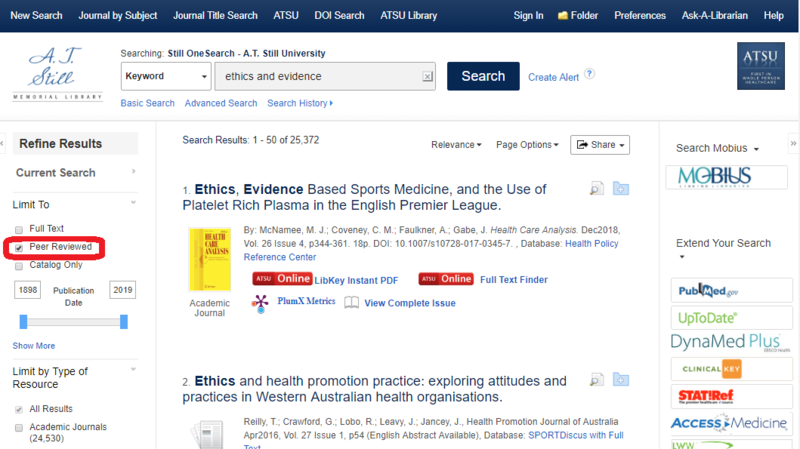 If you find an article that you want that is not full-text on PubMed or another database you are searching, look up the journal title using ATSU's browse e-journals list. You can find this list linked on the Library's homepage, right below the search button in the Still OneSearch box OR in the Discovery Tools box. This will tell you if and where we have full-text access to the journal that has the article you want. If we do not have the article available in full-text, enter an Interlibrary Loan Request using the form you can find on the left side of the Library's homepage, under Library Services. This lets you ask us to get the article for you and email it to you, which is free for you and usually takes between 1-3 business days. These sources can be added or edited by anyone, without any guarantee of accuracy or even attempted accuracy. DON'T use them as major sources. DO use them as pointers to better sources & sources for ideas. Verify everything found using one of these sources. Find ideas or research updates to investigate by following shared links or news stories, or by following discussions on general social sites used by a broad range of the general public such as Twitter, Reddit, and Quora. ​Join social and research communities and blog sites for researchers and health sciences professionals such as Mendeley, F1000 Workspace, NEJM Resident 360, Dental Elf, dentaltown, ResearchGate, other networks. Chat with other interested and hopefully expert people. These sites are great sources to find out about potential jobs, new research, potential research partners, interesting articles, etc. Use Wikipedia to get a rough overview of an idea fast, but don’t trust it as being verifiably true. 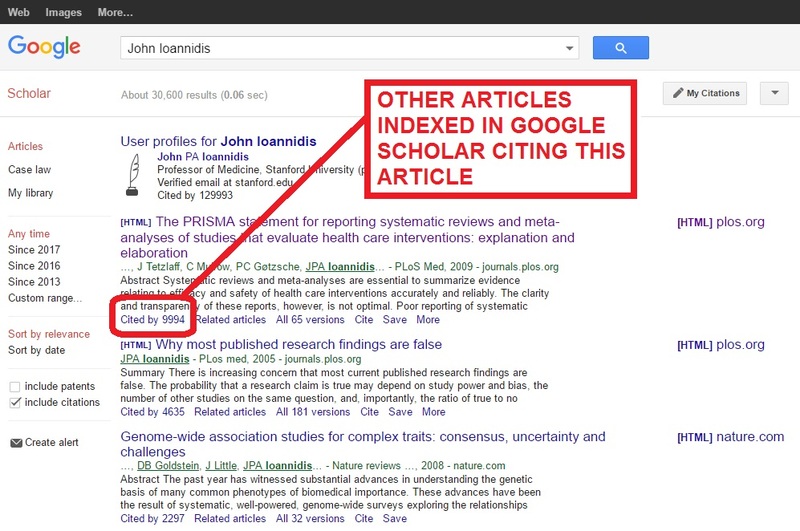 Look up articles or research in PubMed or other respected sources to support ideas discovered via Wikipedia. Quote the published articles or presentations, NOT the Wikipedia synopsis. Review websites carefully before trusting them as sources. Who is paying for and managing the website? Who reviews the information before posting? Does the site present facts and original research, and not opinion? Avoid advertisements, hyperbole, anecdotes, personal opinions, unsourced statements, vendor sponsored sites, political statements, soundbites, clickbait headlines, etc. Who is the intended audience? Is it suitable for your needed complexity of answer? How do you cite a website? Citing a website is different for different citation styles. Consult your publication style guide, or use your citation manager for assistance in building a citation. What should you do if you find a description of a study that you want to use as a source? If you find an abstract or mention of a study on a website, you should find the full text of the original study, read it, and cite that actual study. ​You don't need to cite the website you used to find the study unless you want to actually quote a comment made on the website. If you want to quote or cite the commentary or discussion that you found on the website, you should cite the website itself and not the study. You should also find the actual study and review it to see if you also want to include information from it and cite it as an additional source. The Library provides an assortment of resources to help with writing, citation styles, and citation management. ATSU Writing Center offers much support and many reference documents about writing and citation. Library Academic Writing Resources Guide offers a number of resources and citation guides. Purdue OWL Research & Citation Resources offers guidance for research, citation, and writing for both APA and AMA styles. APA Style Blog offers brief articles about specific citation situations for APA style. AMA Manual of Style is the complete style guide for AMA style. If you need to quickly build an APA, MLA or AMA citation, use your citation manager. This is not guaranteed. You MUST double-check the citation - if you choose the wrong options, your citation will be wrong. DOIs (Digital Object Identifiers) are permanent, unique registered identifiers that are required for APA citation of online articles. Use CrossRef to find DOIs for your citations. A citation manager, also called a reference or bibliographic management system, is a utility that will allow you to store all of your citations in one personal account and will generate a formatted citation list. ATSU supports several free, portable options. Find more information via the Citation Management Guide. The Library has a Liaison Librarian system, with a specific Librarian assigned to each School. Each of these Librarians also acts as a subject expert for their associated subjects. All Librarians are available for consultation. Do you need to report a problem with an e-Resource or request help using one? Find detailed information about Alumni Services from the Library on the Alumni Services at the Library Guide. Access to a subset of subscription databases : CINAHL, Rehabilitation Reference Center, Lexicomp Online for Dentistry, etc. Alumni may access these services through the ATSU Alumni Access Portal. Submit the Alumni Portal Access Form to gain access to it. Is it a journal article? Do you just need it once? Do you need it very quickly? Is it a book outside the typical subject range of the library? Is it an e-book that might be used by other students or faculty? Is it a required or recommended textbook? Are you a professor who wants to use it with your students or research? Why Create a Personal Account? Many online databases and tools offer their best benefits if you create a personal account. Most will allow you to use some of their functions without a personal account, but if you create one, you can save your progress in tutorials; save articles, bookmarks or even notes that you create; save searches or create automatic new-content alerts for yourself; earn CME/CE credits; renew library books, etc. Find the option for doing this by clicking on something that would require it - either a folder, a my-account link, save link, etc. Sometimes it is useful to create a permanent link to a Library resource, such as to be able to share it, to save it for later access, or to include it in course information. However, you cannot typically use the link as it appears in the browser address bar because most resources auto-generate a new url for each individual session. You also cannot use the link you find using Google, as it will not include the proxy string you need to tell it that you have access to ATSU's subscription - you must include a specific string of code in order to tell it to let you log in. The simplest way to get a permanent link is directly from the resource when logged in, but the method differs by resource type. Follow these directions to create a permanent link for most Library resources, or contact the Library for assistance. It is easy to add extra spaces with such a long string. Remove all spaces in the new string. A few resources do not like Open Athens (example: UpToDate), and require a different type of link. You can find them using Still OneSearch or the Databases list. See below. There are two ways to make permanent links to a specific journal. Click on the All link at the bottom of the Journal Issue year index on the left. It will take you to a list of all of ATSU's sources for the journal, with available years of issues. The Library offers 3D printing support and facilities on both campuses at no cost for ATSU students, faculty and staff. See the 3D Printing Guide for more information. The Library can work with online or students away from campus on rotation to create a limited quantity of 3D models and ship them to requestors. Please visit the 3D Printing Guide and contact your affiliated campus Library for support. No library will ever have everything that you might want or need. Use our free Interlibrary Loan service to request articles or other materials that you need from another library. If the Library is able to get them, it will. This service typically takes between 1-3 business days but may take up to ten days. If you need the article faster, you may request "RUSH" service. The Library offers interlibrary loan services using several methods. Note: If based on the Kirksville campus, you will have access to free loans of print books from a large network of Missouri public and university libraries through the Mobius network - including a wide range of fiction. Order these and pick them up in the Library. Open Athens is the authentication system that ATSU uses to provide access to Library resources when off-campus. It has some different options and qualities off campus than it does on campus. Your access to resources on campus should be seamless. You should be able to click on library and resource related links and immediately open them. Exception: If you click on the Advanced Search link on the Library homepage, it will ask you once per session to log in using your ATSU ID and password. Search for your desired electronic journal or database using Google or a saved url. If it does not offer either of these options, it may not allow direct login or it may not be an ATSU subscription. To be sure, visit the Library homepage and try to look for an access point there via Still OneSearch, the Databases link, or the Browse e-Journals link. Some off-campus users will find that they cannot get into ATSU resources even when they begin their searches using Still OneSearch or even a direct link to one of our resources. This happens when you have other access to EBSCO resources through another affiliation that is tied to your usual IP ranges or you have another Open Athens account. This is common for employees or students of other universities, hospitals, or government agencies, and may even happen if your state has generous public library resources. If you do not want to use the Advanced Search options, click on the link to Basic Search that you can find midscreen above the content box after you log in.